Statoil has been developing a unique, floating offshore wind project off Peterhead, Scotland. 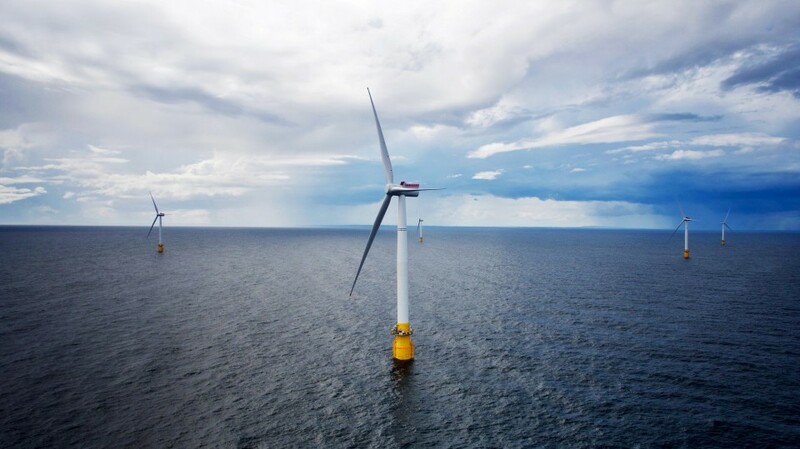 Hywind Pilot park is the world’s first floating windfarm and has a capacity of 30 MW. 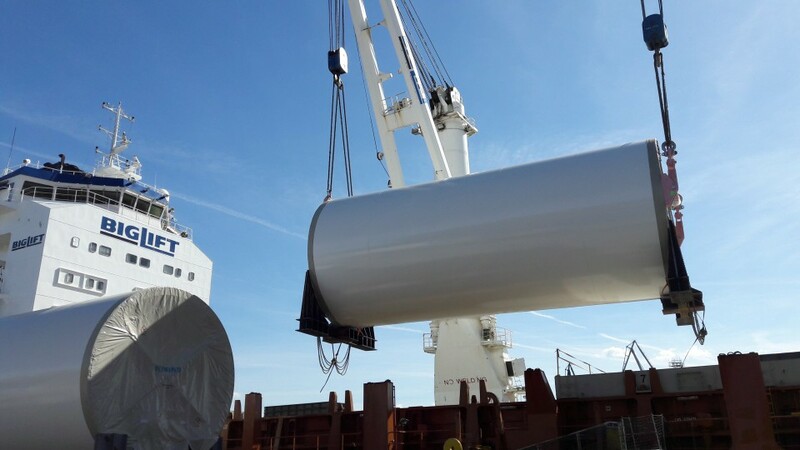 As a pilot project, five enormous wind turbines are being installed to provide power for some 20,000 households from the end of 2017. After six years of testing a prototype in the North Sea in Norway, this is the next step. 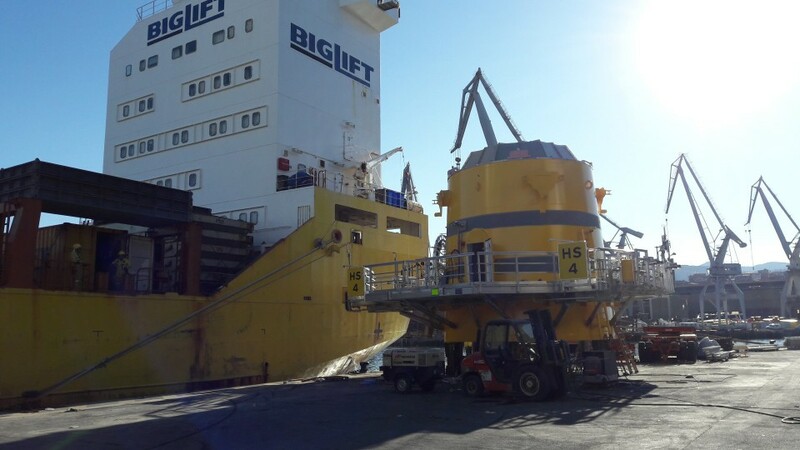 The very large wind turbines, with blades of 75 m, are not resting on the seafloor, but float by way of a buoyancy section below the surface, which is kept in place by an anchoring system. In this way, they can be positioned in much deeper waters. 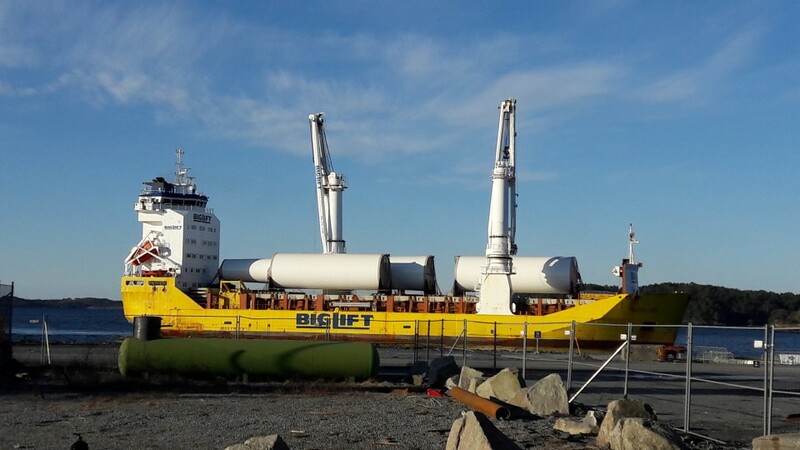 BigLift was responsible for the transport of the upper sections of the five wind turbines from Bilbao in Spain to Stord in Norway. The m.v. Traveller carried out the shipments in three voyages. 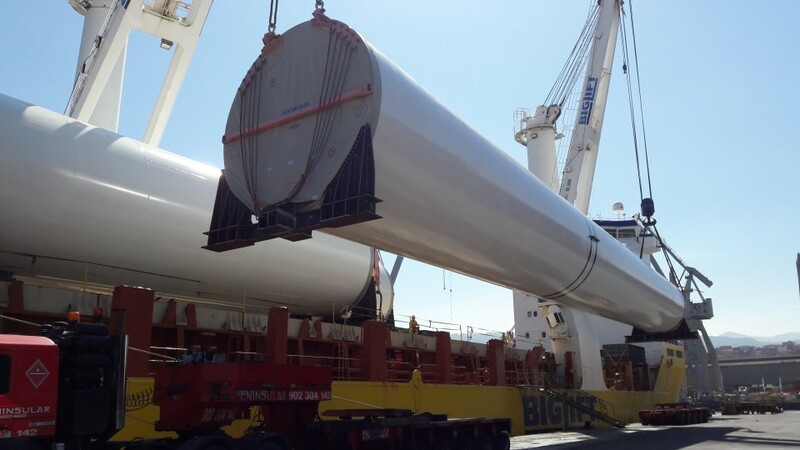 The cargo comprised five top sections of 191.4 mt, which were 41.5 m long; five upper middle sections of 184.1 mt, at 22.14 m long, five lower middle sections of 203.3 mt which were 16.6 m long and the bottom sections which weighed 150 mt, and were shaped like a giant washer of 13.5*12.5*8.6 m.
At Stord, the tower sections were discharged by Traveller’s cranes. 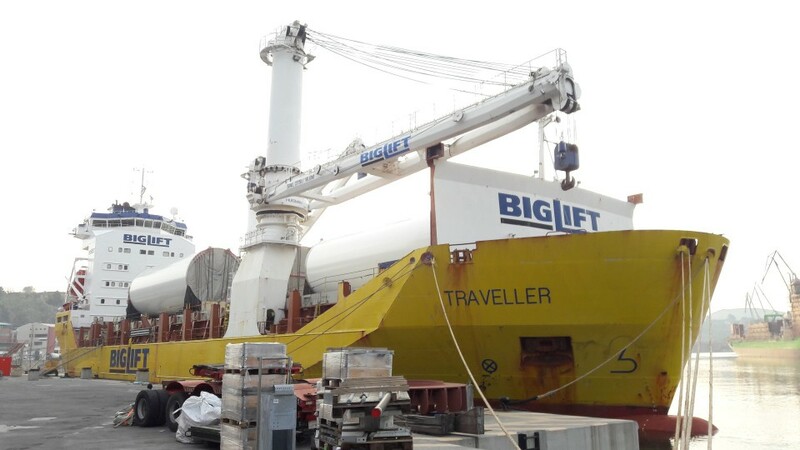 From there, Mammoet took over and assembled the wind turbines on shore. Then these sections were picked off the quay by the crane vessel Saipem 7000 which ‘mated’ the wind turbines with their underwater sections further out in the bay. By that time the total height of the turbines’ construction was 162 m! 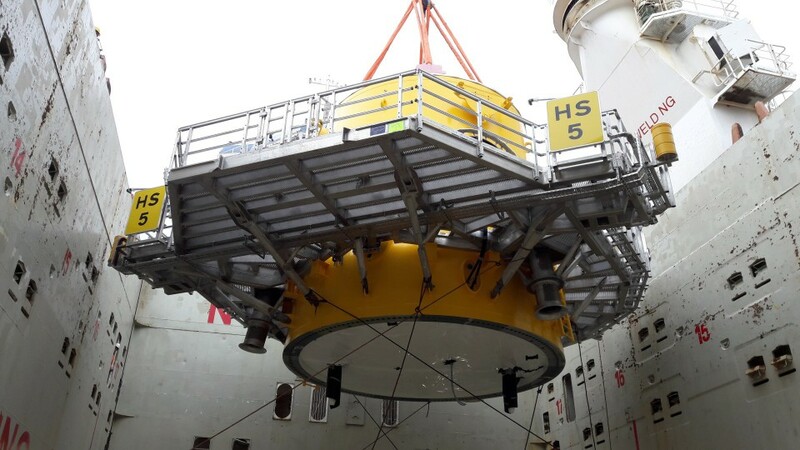 After the mating process, each wind turbine was towed on its own buoyancy to its ultimate mooring place, 25 km off Peterhead.